April 2004 discovery by Bradley Lehman, Dayton VA. Private demonstrations and test sessions during 2004: by Lehman and several expert consultants during work on the Early Music article. May 2004 - World premiere of this temperament in concert as a Swiss Radio broadcast: Robert Hill, fortepiano (JS Bach's three-part ricercar of the Musical Offering; B-flat Partita; Chromatic Fantasy and Fugue; G minor sinfonia (three-part invention); Handel, Scarlatti). An excerpt of this broadcast concert is available on the web: Bach's three-part invention in G minor. 20 May 2004 - Freiburg, Germany: Robert Hill, harpsichord (JS Bach and CPE Bach). June 2004 - Ohio and California: Several performances of St John Passion by Apollo's Fire. Jeannette Sorrell and Barbara Weiss, organs. October to November 2004 - Wigmore Hall (14 October) and USA tour (23 October to 12 November): Andrew Manze and The English Concert. David Gordon, harpsichord continuo. (Mozart, Biber, Schmelzer, Vivaldi, Locatelli) More than a dozen concerts in that USA tour, using Bach's tuning in the continuo for its all-around usefulness. 14 November 2004 - BBC Radio 3 "Sunday Gala" broadcast of the recording from the Wigmore Hall concert by The English Concert. 28 February 2005 - Groningen; 1 March - Leiden; 2 March - Cadogan Hall, London. Same English Concert programme as 27 February. March 2005 - Wellesley MA (greater Boston/Framingham): retuning of a chapel organ in The Wellesley Congregational Church, by Stefan Maier. 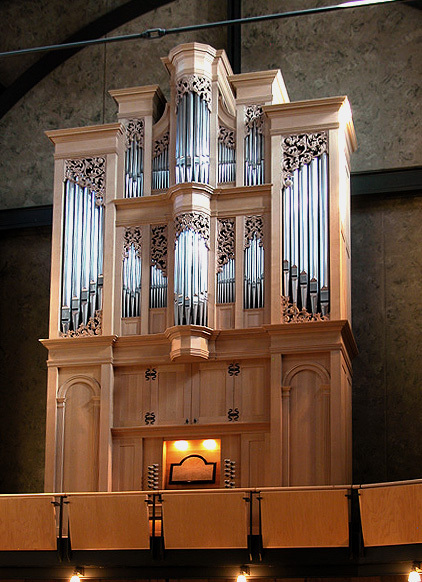 The organ is by Fritz Noack and has six stops. The resident organist is David Carrier. 24 April 2005 - Charlottesville VA: Bradley Lehman, Paul Walker, Elizabeth Lindau, and Virginia Chilton; University of Virginia student ensemble (Bach's 4-harpsichord concerto, BWV 1065) [press release] [Photo page by Virginia Chilton] The program also included music by Lully, Monteverdi, et al; and the Bach temperament on a continuo organ accompanying a sackbut ensemble. 24 April 2005 - Elmhurst IL: piano recital by Jason Koval. Music by Bach, Chopin, Joplin, Rachmaninoff, Lanz, Raney, Compton, Mussorgsky, Burgmuller, Guaraldi. 28 April 2005 - Fortepiano recital by Robert Hill, including music by Mozart. 1 May 2005 - Barcelona, Spain: Bach recital by Kenneth Weiss, harpsichord, in the XXVIII Festival de Musica Antigua. Sonata in A minor, BWV 965; Chromatic Fantasy and Fugue in D minor, BWV 903; Italian Concerto in F, BWV 971; Partita in B minor, BWV 831. 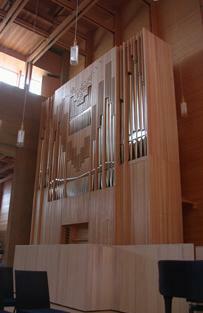 1 May 2005 - Goshen IN: Organ dedication service, played by Christine Thögersen. Mozart sonata K245 (with two violins and cello); Bach prelude and fugue in G BWV 550; Krebs Toccata in E major. 1 May 2005 - Goshen IN: Organ dedication recital, played by Craig Cramer. Buxtehude Praeludium in G minor, BuxWV 148; Pablo Bruna Tiento; Bach "Neumeister" chorales BWV 1092, 1100, 1114; Bach fantasia and fugue in G minor BWV 542; Johann Christoph Bach Aria with 15 vars (A minor); Dandrieu two Noels; Mendelssohn F minor sonata. 3 May 2005 - Goshen IN: Duo recital, played by Roseann Penner Kaufman and Christine Thögersen, with "Stabat" (13-member men's chorus singing the chorales). Bach program: Prelude and Fugue in E-flat BWV 552; chorales BWV 645, 650, 607, 608, 615, 605, 686, 618, 627, 651. 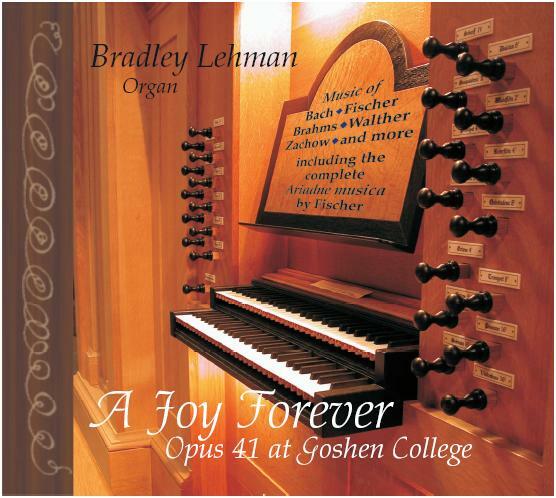 3 May 2005: The Mennonite feature "Goshen alum solves Bach's music puzzle"
5 May 2005 - WVPE-FM, Elkhart IN: Radio feature, "New organ and secret Bach tuning debut at Goshen College" by Beth Graham with Bradley Lehman. 5 May 2005 - Goshen IN: Lecture/demonstration by Bradley Lehman, organ and harpsichord. Repertoire: Bach Pastorale BWV 590 (two mvts); Toccata in D BWV 912; Erbarm dich mein settings by Zachow and Bach (BWV 721); Fischer preludes and fugues in c# minor, E, f minor, A-flat (from Ariadne musica); Bach Kyrie BWV 671; the four Duetti BWV 802-805; Brahms Herzlich tut mich verlangen; Hönig Larghetto; Lehman atonal fugue; Bach Allein Gott BWV 715. 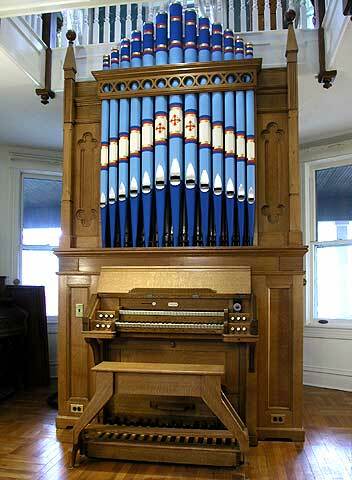 6 May 2005 - Goshen IN: Organ recital by Mark Herris. Praetorius Nun lob, mein Seel, den Herren; Bach partita Sei gegrüsset BWV 768; Prelude and fugue in C BWV 547; Schumann fugue #1 on the name of BACH; Mendelssohn C major sonata; Mozart Andante in F K616; Hampton "Everyone Dance" from "Five Dances". 8 May 2005 - Goshen IN: St Joseph Valley Camerata vocal program directed by David Seitz, with organists Christine Larson Seitz and Christine Thögersen. Music by Brunk, Britten ("Rejoice in the Lamb"), Lugge, Vaughan Williams, Stanley, Monteverdi, Brahms, William Monk, Bach (BWV 118), Seitz, John Ness Beck, American folk/Wilberg. 19 May 2005 - Glyndebourne, East Sussex, UK: Rossini's opera La Cenerentola, London Philharmonic production for the Glyndebourne Festival. Conductors: Vladimir Jurowski and Roberto Polastri. Director: Peter Hall. Fortepiano continuo in the recitatives: Paul Simmonds. Also May 22, 26, 29; June 2, 4, 9, 12, 15, 18, 23, 26; July 2, 9, 13, 16. 17 June 2005 - Harrisonburg VA: Brandenburg Concerto #2 at the Shenandoah Valley Bach Festival. J Saxton, M K Adams, S Lisicky, K Winterstein; K Nafziger conducting; M Mills, harpsichord. 3 July 2005 - Glyndebourne, East Sussex, UK: Handel's opera Giulio Cesare. Orchestra of the Age of Enlightenment, at the Glyndebourne Festival. Conductors: William Christie and Laurence Cummings. Director: David McVicar. Continuo harpsichords: Paul Simmonds, Christie, Cummings. Also July 7, 11, 14, 17, 20, 23, 28, 31; August: 2, 5, 7, 11, 14, 17, 20. 23 July 2005 - Fortepiano recital by Robert Hill, including music by JS and WF Bach. July 2005 - Beethoven sonatas volume 3 recorded by Ronald Brautigam. Walter-style fortepiano by Paul McNulty. For 2006 release by BIS. 7 August 2005 - Samples section enlarged at this web site, with music from LaripS 1002 and 1003. 28 August 2005 - BBC Radio 3 feature on The Early Music Show, hosted by Andrew Manze: a one-hour interview including performances by Bradley Lehman and Richard Egarr. Music by Bach and Brahms. 11 September 2005 - Harrisonburg VA: church service including music of Brahms played on a piano in this tuning. "Edward" Ballade #1, and the slow movement of the F minor clarinet sonata. Bradley Lehman, piano; Leslie Nicholas, clarinet. The clarinet piece is tonally adventurous, presenting its main theme successively in A-flat, E, and C majors (i.e. a major 3rd apart, each time)...and a secondary theme in D-flat, C-flat, and A-flat. 18 September 2005 - Helsinki, Finland: Laajasalo Church, dedication and concert of new organ by Orgelbau Kögler GmbH (of Austria). Two manuals, 22 registers. 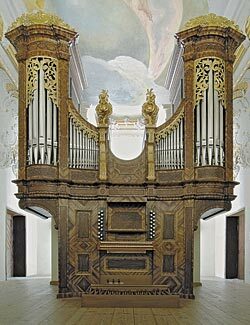 First organ in Europe to be built on this tuning, since the 18th century. The dedication also included a lecture by builder Christian Kögler. [Specification and Photos] Organist Sirkka-Liisa Jussila-Gripentrog played this concert program: Tunder: Praeludium in g; Pachelbel: Ciacona in f; Muffat: Toccata Duodecima et ultima; Weckmann: Nun freut euch, lieben Christen g'mein; Bach: Fantasia in c, BWV 652; Liebster Jesu, wir sind hier, BWV 730 - 731; Allein Gott in der Höh' sei Ehr, BWV 663; Wir glauben all' an einen Gott, BWV 740; Toccata & Fuga in d, BWV 565. 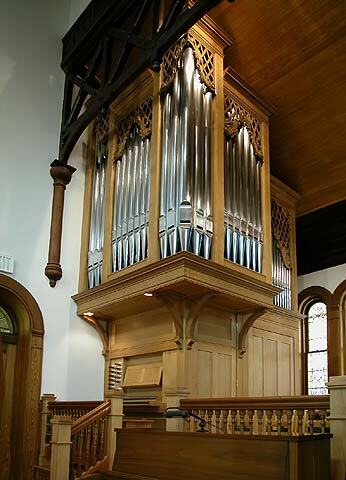 Update: Kögler has also used the temperament in this new organ at the Nikolaus-Kirche in Pinzberg, Germany, in 2006. [Details] Pinzberg is near Nürnberg and Erlangen. 10 October 2005: The New Yorker magazine. Apparently the fiction piece "Early Music" by Jeffrey Eugenides is inspired by the present research...and it reproduces the temperament layout faithfully: "Rodney, who was capable of keeping straight the 1/6 comma fifths of Bach's keyboard bearing (F-C-G-D-A-E) from the pure fifths (E-B-F#-C#) and the devilish 1/12 comma fifths (C#-G#-D#-A#), had no trouble performing the following calculation in his head: Each one of the Mice 'n' Warm mice sold for $15." Update: David Yearsley's response to it, May 3 2008, "Rodney and Me and the Harpsichord: a Challenge to Jeffrey Eugenides" in The Musical Patriot. 10-15 October 2005 - Brighton Festival and Wigmore Hall, England: several performances of four of Bach's Weimar cantatas, and recorded for Chandos Records (released in summer 2007). Purcell Quartet + Friends; Robert Woolley, organ; Emma Kirkby, soprano; Michael Chance, alto; Charles Daniels, tenor; Peter Harvey, bass. Organ by Robin Jennings. The cantatas were: 12 (Weinen, Klagen, Sorgen, Zagen), 18 (Gleichwie der Regen und Schnee vom Himmel fällt), 61 (Nun komm, der Heiden Heiland), 161 (Komm, du süße Todesstunde). One of the concerts can be heard in a broadcast on BBC Radio 3's "Early Music Show" on 19 February 2006, and during the following week as Internet replay "Sunday". 15 October 2005 - Holywell Music Room in Oxford, England: Clavichord recital by Gustav Leonhardt. Part of the program was played on a meantone clavichord, and part on a clavichord in this Bach temperament. Compositions by Kerll, Böhm, Pachelbel, Fischer, Ritter, JS Bach, CPE Bach. 15 October 2005 - Baltimore MD: Concert Artists of Baltimore, "The Musical life of J.S. Bach" including Brandenburg Concerto #3 and the Chromatic Fantasy and Fugue. Edward Polochick, harpsichord and conductor. 18-20 October 2005 - St. Mary of the Hills Church, Milton, MA: recording by Peter Watchorn of all of Bach's WTC book 1, projected for CD release in 2006 on his Musica Omnia label. Production and engineering by Penelope Crawford, Gregory Miller, and Joel Gordon. November 2005 (?) - JavaTuner web application by Pierre Lewis, in a version including Bach's. This program allows single pitches or chords to be played in a variety of temperaments, as a comparative demonstration or for direct use in keyboard tuning. November 2005 - Boston MA: Ensemble "Publick Musick" and Peter Watchorn. Recording of Bach cantatas BWV 45 Es ist dir gesagt, Mensch was gut ist; BWV 62 Nun komm der Heiden Heiland; BWV 140 Wachet auf, ruf uns die Stimme; BWV 192 Nun danket alle Gott. To be released in first half of 2006 on Musica Omnia. 13 November 2005 - Harpsichord recital by Robert Hill, including music by JS Bach and Handel. 4 December 2005 - Annapolis MD: Recital of Scarlatti sonatas by Marcia Kravis, harpsichord. St John's College. This and much other Baltimore-area use is by harpsichord technician Mark Adler, of the Cembaloworks of Washington. 6 December 2005 - Dayton VA: "Learning Interesting Things" evening lecture/demonstration and discussion, sponsored by Community Mennonite Church. Lehman playing two harpsichords and clavichord, showing some contrasts against meantone. Music by JS Bach, CPE Bach, Scarlatti, Marchand. 8 December 2005 - Maryland eastern shore: Baltimore Symphony Orchestra conducted by Andrew Constantine, program including a CPE Bach sinfonia. 8-11 December 2005 - North Bethesda and Baltimore MD: four performances of Handel's "Messiah". Baltimore Symphony Orchestra and Concert Artists of Baltimore Symphonic Chorale, directed from the harpsichord by Edward Polochick. 13 December 2005 - Baltimore MD: Baltimore Symphony Orchestra, Christmas program with Renee Fleming, conducted by Patrick Summers. 16 December 2005 - Bridgewater VA: Handel's "Messiah", 7:30 p.m. Curtis Nolley directing the Shenandoah Valley Choral Society and orchestra. 18 December 2005 - Staunton VA: Handel's "Messiah", 3:00 p.m. Ray Hoaster directing the Ovation Singers and orchestra. 18 December 2005 - Towson MD: Handel Choir of Baltimore, in Kraushaar Auditorium at Goucher College. Melinda O'Neal (conductor), Thomas MacCracken (organ and harpsichord continuo). Bach's Christmas Oratorio Part 6, and selections from Handel's "Messiah". 22 December 2005 - Baltimore MD: Zion Church benefit concert featuring Hilary Hahn; Baltimore Symphony chamber ensemble directed by Paul Mori. Music by Bach, Handel, Vivaldi and Corelli. German ambassador in attendance. 23 January, 13 and 20 February 2006 - Zaragoza, Spain: Complete performance of Bach's WTC book 1 and first three Partitas. Alfonso Sebastian Alegre, harpsichord. January/February 2006 - Mozart concerts by Katia and Marielle Labeque on two fortepianos. Various venues in Europe. 19 February 2006 - BBC Radio 3's "Early Music Show" featuring the October 2005 performance of Bach cantatas by the Purcell Quartet + Friends (see above). The programme is available during the following week as Internet replay "Sunday". 19 February 2006 - Las Vegas NM: Daniel Jencka, harpsichord. Music by Soler, Paradies, Scarlatti, Platti, Bach (inventions/sinfonias BWV 777, 778, 796, 797). Playing his own formulation that handles F-Bb-Eb-Ab-Db slightly differently. 25 March 2006 - Bethesda MD: Concert by The Bach Sinfonia including Mozart's Concerto in E-flat for two fortepianos, K. 365. Thomas MacCracken & Vera Kochanowsky. Instruments prepared by Anne Acker. 30 March to 15 April 2006 - Netherlands Bach Society directed by Jos van Veldhoven, 12 performances of Bach's "St Matthew Passion" at seven different venues. Both organs and the harpsichord are scheduled to use the vocal version of the temperament. Vocal soloists: Nico van der Meel (Evangelist); Susanne Ryden, Anne Grimm, Kai Wessel, Pascal Bertin, Charles Daniels, Marcel Beekman, Stephan MacLeod (Jesus & choir 1 solos), Peter Harvey. 1-2 April 2006 - Washington DC: American University Chamber Singers (Daniel Abraham, director), "Early Voices: Choral Masterworks of the Renaissance and Baroque." Bach: Christ lag in Todes Banden, BWV 4, Vivaldi: Magnificat, RV 610, and continuo accompanied works by Sweelinck and Schütz. 13 April 2006 - Netherlands Bach Society, Bach's "St Matthew Passion" radio broadcast from one of the concerts. Netherlands Radio, channel 4. 22 April 2006 - Charles Darwin University, Northern Territory, Australia. Presentation of Bach's "Goldberg Variations" by Yo Tomita and Elizabeth Anderson, as part of the "Which Bach?" Symposium led by Martin Jarvis. 29 April 2006 - Staunton VA: Augusta County Garden Club house tour, new Taylor & Boody organ at Hebron Presbyterian Church. Martha Ramsey and Robert Moody, organists; Richard Adams, trumpet. Music by Handel, Clerambault, Bach, Schulz-Widmar, James, Buxtehude, Karg-Elert, Ashford, Elgar, Simper, Barton, Weinberger, Peeters, Alain (Litanies). 8 May 2006 - Harrisonburg VA: Harpsichord tuning lecture/demonstration by Bradley Lehman to the Piano Technicians Guild #231. 28 May 2006 - Vienna, Austria: Zsuzsa Varga, piano recital with B�sendorfer concert grand. Schumann: Carnaval op. 9; Ravel: Valses nobles et sentimentales; Skriabin: Sonata Nr. 9 op. 68 "Black Mass", Etude c-sharp minor op. 42 Nr. 5; Beethoven: Sonata E-Major op. 109; Chopin: Fantaisie Impromptu. 29 May 2006 - Audio samples from LaripS 1002 and LaripS 1003 added to the feature pages at Last.fm, allowing audition of full or partial tracks, and free downloads of selected compositions. 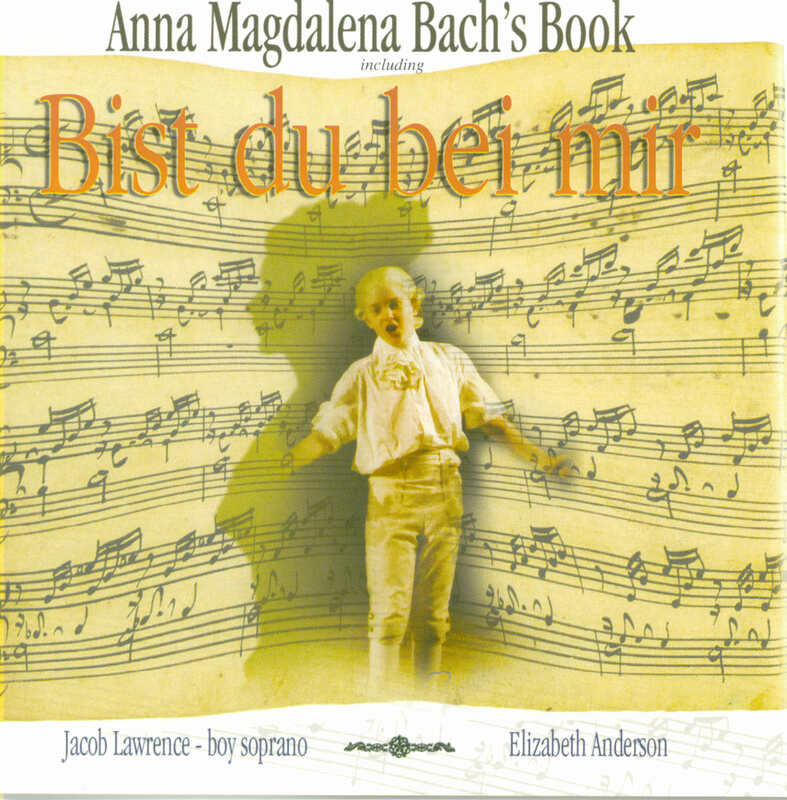 1 June 2006 - CD of Anna Magdalena Bach's Book, performed by harpsichordist Elizabeth Anderson and boy soprano Jacob Lawrence (Anderson's son). Move Records #MD3304. This recording includes the entire 1725 book, except its early version of the E minor partita. 4 June 2006 - Cambridge MA: Mahan Esfahani, harpsichord. Music by JS Bach, Francois Couperin, Froberger. 5 June 2006 - Musica Omnia. 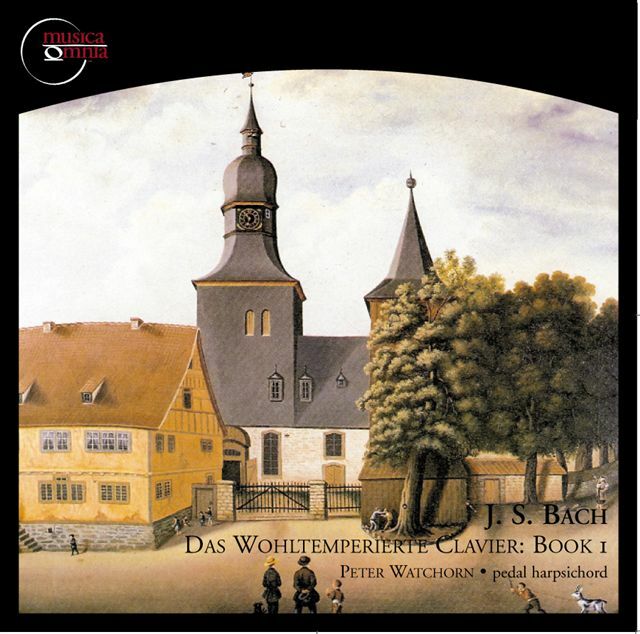 Bach: Well-Tempered Clavier, Book 1 played by harpsichordist Peter Watchorn. Booklet essays by Bradley Lehman (November 2005) and Peter Watchorn. To be followed by Book 2 in spring 2007. 7 June 2006 - Charlottesville VA, Robert H Smith International Center for Jefferson Studies (Monticello, Thomas Jefferson's home): Concert by Andrew Mullen (singer and research fellow), David Sariti (Baroque violin), Bradley Lehman (harpsichord). Music from the Jefferson household's collection, including Corelli's sonata in D, Op 5 #1. 8 June 2006 - Berkeley CA: Mahan Esfahani, harpsichord. Berkeley Early Music Festival and Exhibition. June 2006 - BIS 1472. Ronald Brautigam, fortepiano, playing Beethoven Sonatas, volume 3 (sonatas 4, 5, 6, 7). Walter-style fortepiano by Paul McNulty. 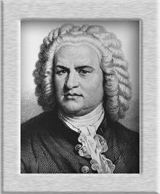 14 July 2006 - London, England: Bach's "Goldberg Variations" BWV 988 played by David Wright. Concert series at Grosvenor Chapel, South Audley Street. 27 July 2006 - KPFK-FM, Los Angeles CA: Live interview of Peter Watchorn and Bradley Lehman on "Global Village" radio program, by John Schneider. [Playlist] [Follow-up remarks] CD transcripts of the program will be available from Pacific Radio. October 2006 - Washington DC, French Embassy: Bach's three sonatas for viola da gamba and harpsichord, played by Jerome Hantai and Maud Gratton. 14 and 15 October 2006 - Seattle WA: Seattle Baroque Orchestra. Mahan Esfahani, harpsichord; Ingrid Matthews, director. Concert of orchestral music by Albicastro, Telemann, Zelenka, Vivaldi, plus sonata for harpsichord by Domenico Scarlatti. 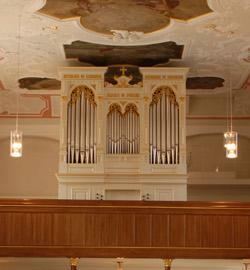 4 November 2006 - Pinzberg, Germany (near Nürnberg and the Czech Republic): dedication of new organ by Christian Kögler, Pfarrkirche St Nikolaus. Two manuals and pedal; 21 stops. [Specification and Photos] [Illustrated booklet from the dedication] The booklet's remarks about the tuning: "Als Stimmsystem wurde die von B. Lehman wieder entdeckte 'Bach-Temperatur' verwendet. Diese Temperatur wurde erstmals wider bei einer Orgel in Deutschland gelegt. Das Besondere an diesem Stimmsystem ist, dass es von Bach eine handschriftliche Aufzeighnung über diese Temperatur gibt." 13 November 2006 - How Equal Temperament Ruined Harmony, And Why You Should Care by Ross W Duffin. W W Norton, ISBN 10: 0-393-06227-9, ISBN 13: 978-0-393-06227-4. See also Duffin's web letter to readers of the book offering listening examples: comparing this Bach temperament with equal temperament, in music by Wagner/Liszt, Brahms, Debussy, and Gershwin. 29 November 2006 - Baltimore MD: Baltimore Symphony Orchestra conducted by Robert King. Music by Handel, Vivaldi and Telemann. 2 and 3 December 2006 - Bridgewater VA: two performances of Handel's "Messiah" (excerpts). Bridgewater College Oratorio Choir and orchestra. 8 December 2006 - Baltimore MD: Handel's "Messiah". Baltimore Symphony with chorus and soloists, conducted by Edward Polochick. 8 December 2006 - Bridgewater VA: Vivaldi's "Gloria". Shenandoah Valley Choral Society and orchestra. 17 December 2006 - Staunton VA: Handel's "Messiah", 3:00 p.m. Ray Hoaster directing the Ovation Singers and orchestra. December 2006 - Dorian 20604: - Bach Sinfonia, Daniel Abraham. Handel's "Alexander's Feast", plus Bach's aria BWV 1127, "Alles mit Gott". January 2007 - Brilliant Classics 93187: - Pieter-Jan Belder, Siebe Henstra, Menno van Delft, Vincent van Laar, Musica Amphion/Belder. Bach concertos for two, three, and four harpsichords, BWV 1060-1065. Two-CD set. 20 January 2007 - Brisbane CA: Mahan Esfahani, harpsichord. Music by John Bull, Georg Böhm, JS Bach. February 2007 - Channel Classics 25007: - Netherlands Bach Society, Jos van Veldhoven. Bach's B Minor Mass. Released in the Netherlands, and soon for broader release in the rest of Europe and North America. 5 March 2007 - Cambridge University Press. J S Bach: A Life in Music by Peter Williams. ISBN-13: 9780521870740. Pages 336-7 discuss the first printed half (only!) of the "Rosetta Stone" article; cited also in the References section on page 389, but only that first half. Most of Williams's objections here -- about the Bach drawing, and the reasoning in Lehman's presentation -- were already answered in the second half of Lehman's article! 7 March 2007 - Banff, Canada: J.S. Bach: The Musical Offering, BWV 1079. Jan Junker, flute; Marc Uys, violin; Lukas Raaflaub, cello; Mahan Esfahani, harpsichord. 16 March 2007 - Banff, Canada: J.S. Bach: Brandenburg Concerto No. 5, and Concerto in D minor for 2 violins. C.P.E. Bach: Flute Concerto in D minor. Daniel Phillips, violin; Tara Helen O'Connor, flute; Mahan Esfahani, harpsichord. 15 April 2007 - Harrisonburg VA: Vivaldi's cello sonata in Bb, RV 46. Carl Donakowski and Rashaad Jones, cellos; Bradley Lehman, harpsichord. 16-24 April 2007 - Kampen Netherlands (16), New York NY (18), Ann Arbor MI (19), Berkeley CA (21), Seattle WA (22), and Richmond VA (24): Concert tour with Bach's Mass in B minor. Netherlands Bach Society, directed by Jos van Veldhoven. 1 May 2007 - London, St Martin-in-the-Fields: Bach's Goldberg Variations. David Wright, harpsichord. 1 June 2007 - Vienna, Austria: CD release of Bach's "Goldberg Variations" and 10 inventions/sinfonias, played by Walter Riemer on a Stein-styled fortepiano. 1 June 2007 - Release of Chandos Records 0742: - Purcell Quartet + Friends; Robert Woolley, organ; Emma Kirkby, soprano; Michael Chance, alto; Charles Daniels, tenor; Peter Harvey, bass. Bach cantatas: BWV 12 Weinen, Klagen, Sorgen, Zagen; BWV 18 Gleichwie der Regen und Schnee vom Himmel fällt; BWV 61 Nun komm, der Heiden Heiland; BWV 161 Komm, du süße Todesstunde. 10 June 2007 - Harrisonburg VA: Bach's concerto for two violins, BWV 1043. Shenandoah Valley Bach Festival Orchestra, soloists Joan Griffing and Susan Black. 14 August 2007 - Organ performance of Bach's six-voiced Ricercar from the Musical Offering distributed on YouTube. 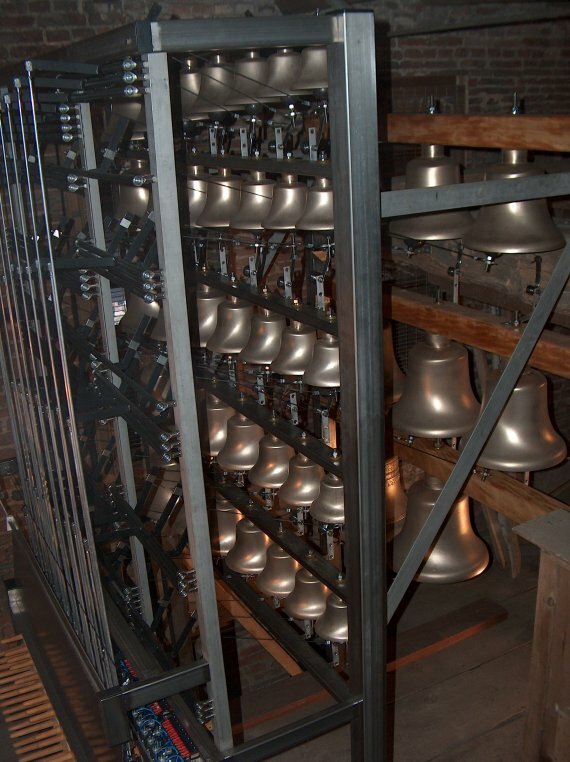 From an informal practice session by Bradley Lehman on 23 November 2005, at the Goshen College organ. 25 August 2007 - Hands-on demonstration of the tuning sequence as a YouTube video. Bradley Lehman, harpsichord. 8 September 2007 - Charlottesville VA: Concert by David Sariti (Baroque violin) and Bradley Lehman (Taylor & Boody chamber organ). Music by Uccellini, Schmelzer, Biber, Corelli, Leclair, and Bach. 7:00 p.m., Christ Episcopal Church, downtown Charlottesville. University of Virginia concert advertisement: "Violin Music from the Beginning to Bach: A Century of Italian, French, and German Music"
23 September 2007 - Goshen IN: Goshen College concert by Martin Hodel (trumpet and Baroque trumpet) and Bradley Lehman (organ). Music by Bach, Purcell, Buxtehude, Torelli, Martini, Lehman, Persichetti, Friedman, and Vizzutti. 9 October 2007 - Harmonia Mundi HMU907431.32: - Richard Egarr, harpsichord. Bach: Well-Tempered Clavier, book 1. 2-CD set. 14 October 2007 - Harrisonburg VA: James Madison University concert by David Sariti (Baroque violin) and Bradley Lehman (harpsichord), 3:00 p.m. Music by Uccellini, Schmelzer, Biber, Walther, Leclair, and Bach. October 2007 - Phoenix AZ: Central United Methodist Church. Installation of Taylor & Boody continuo organ Opus 62 (set to this temperament) as an interim instrument for regular service use, while a larger and permanent organ will be built by Rosales/Gatter-Gotz. 1 November 2007 - Naxos 8.557966, "BACH, W.F. : Keyboard Works, Vol. 1" played by Robert Hill, fortepiano. 12 Polonaises, Sonata in D major, Fantasia in A minor. 16 November 2007 - Vienna, Austria: recital by Walter Riemer, fortepiano. J.S.Bach: Partita B-flat major, Chromatic Fantasy and Fugue. D.Scarlatti: Sonatas in d K.9, in B K.551, in g K.30 (Cat Fugue), in C K.159. D.Cimarosa: Sonatas in a, D-flat, d, D. W.A.Mozart: Sonata K 282, E-flat Major. L.v.Beethoven: Sonata op. 14/2, G-Major. 29 November 2007 - Vienna, Austria: Welsh and Scottish Songs by Haydn and Beethoven. Walter Riemer (fortepiano) and colleagues. 13 January 2008 - Vienna, Austria: concert at the Liechtenstein Palais. Bach's Goldberg Variations. Walter Riemer, fortepiano. 27 January 2008 - Staunton VA: Hebron Presbyterian Church service with Bradley Lehman, guest organist. Bach preludes and fugues in B major and E major from WTC book 2. 17 February 2008 - Charlottesville VA: music from Thomas Jefferson's collection. Theresa Goble and Andrew Mullen, singers; David Sariti, violin; Bradley Lehman, harpsichord. Recording sessions the following week for a CD to be issued by Monticello. 24 February 2008 - Harrisonburg VA: 20 James Madison University piano students playing Bach preludes and fugues on a Hamburg Steinway piano in the Bach temperament. Bradley Lehman spoke briefly about the temperament, and played one of Kuhnau's Biblical sonatas (King Hezekiah's illness and recovery) as part of the concert. 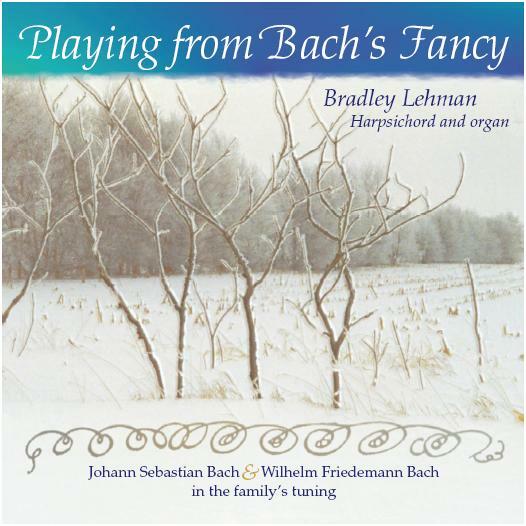 February-May 2008 - Six new YouTube videos by Bradley Lehman, with Bach's and Couperin's music. 3 March 2008 - Vienna, Austria: Walter Riemer, fortepiano. Haydn sonatas #47 in B minor and #61 in D major; Beethoven sonatas #14 ("Moonlight") in C# minor and #15 ("Pastorale") in D.
6 April 2008 - Staunton VA: Hebron Presbyterian Church service with Bradley Lehman, guest organist. Bach: Sarabande en rondeau (F minor suite); Walther: Herr Jesu Christ, dich zu uns wend; Couperin: Basse de Trompette (from Convents Mass); Walther: Fuga. 22 April 2008 - London, St Martin-in-the-Fields: Bach's Goldberg Variations. David Wright, harpsichord. 20 May 2008 - Vienna, Austria: concert at the Salvator Saal. Bach's Art of Fugue. Walter Riemer, fortepiano. 23 May 2008 - Vienna, Austria: concert at the Salvator Saal. Bach's sonatas for viola da gamba and harpsichord. Martin Hornstein, cello; Janna Polyzoides, fortepiano. 30 May 2008 - Radstadt, Austria: Bach's sonatas for viola da gamba and harpsichord. Martin Hornstein, cello; Janna Polyzoides, fortepiano. 8 June 2008 - Harrisonburg VA: Bach's Italian Concerto. Bradley Lehman, harpsichord. The program also included pieces for orchestra. Opening concert of the Shenandoah Valley Bach Festival, "Strings and Things". 17 September 2008 - Orange VA: James Madison's Montpelier, reopening gala dinner. Amanda Balestrieri, soprano; Bradley Lehman, fortepiano; Cleek Schrey, violin. Music by Handel, Haydn, WF Bach, Cosway, et al. 21 October 2008 - Harrisonburg VA: James Madison University, Visiting Scholar recital. Bradley Lehman, harpsichord. Music by JS Bach, WF Bach, Kuhnau, Froberger, F Couperin, Rameau, Purcell, Haydn. Bach: Cantatas 199, 82, 170. Concert performances and recording (forthcoming). Gilbert Martinez, director. June 2009 - Music Theory Online, "Discrete Fourier Transform and Bach�s Good Temperament" by Emmanuel Amiot. The author presents a way to measure "Musical Sameness of Scales" as a single number, in assessing the way temperaments circulate smoothly (or not) through all 12 major scales, and by extension all minor scales as well.